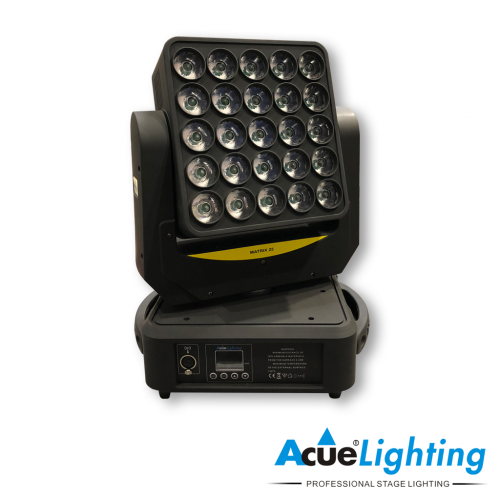 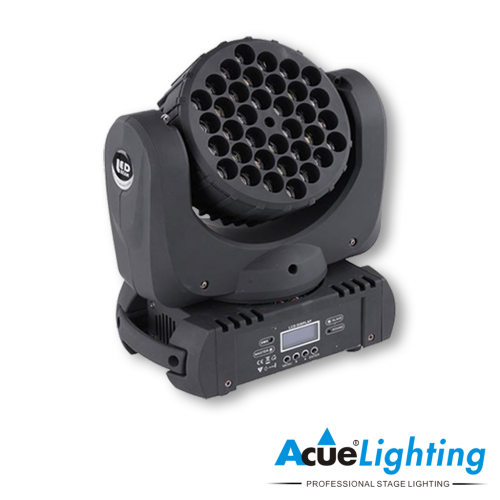 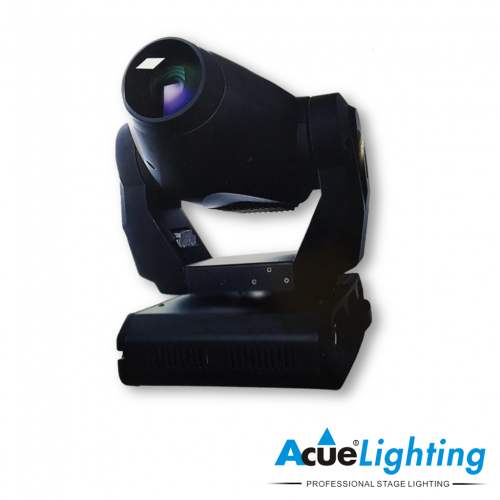 The Acue Lighting Storm is a Wash/Beam LED Moving Head light that houses 36 pieces of 10W RGBW LEDs. 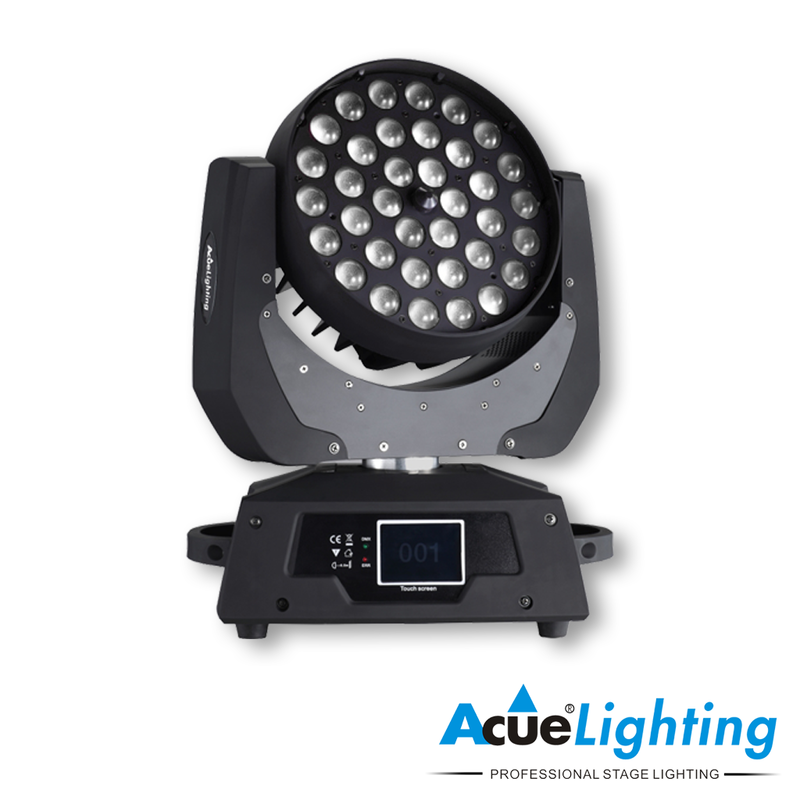 It has the ability to zoom from 8˚ to 60˚ enabling you to wash any surface with color. 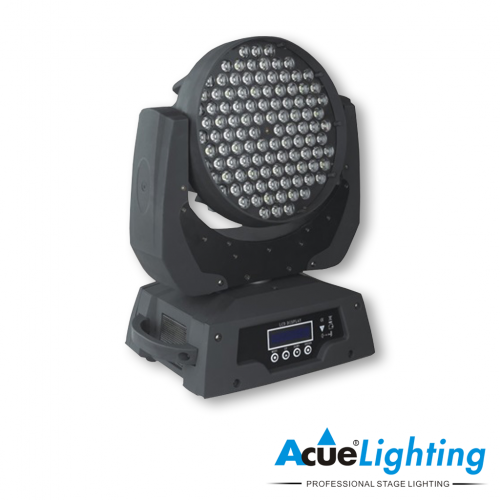 It doubles as an “eye candy” fixture as each ring can be controlled separately (RGBW).